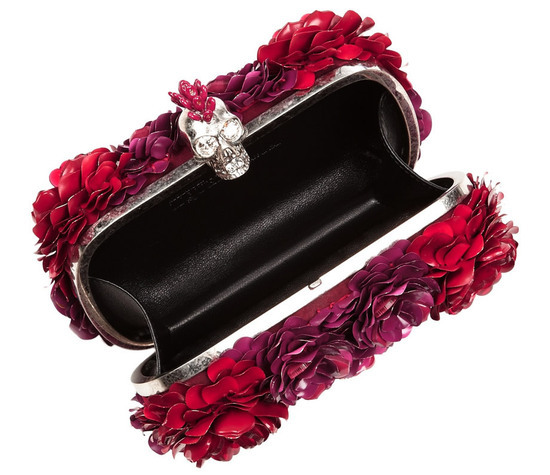 Alexander McQueen promises to enchant with its every collection and its FW 12 line which was inspired by the ‘beautiful future’ had an optimistic and cheerful overload of feminine accessories. 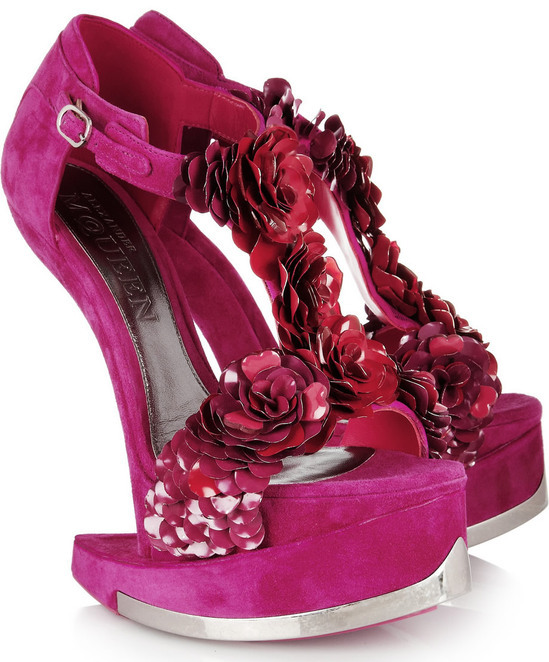 A striking must-have from the line is the enameled flower bright fuchsia suede platform sandals which stands tall with a 6.5 inches heel and 2.5 inch platform. 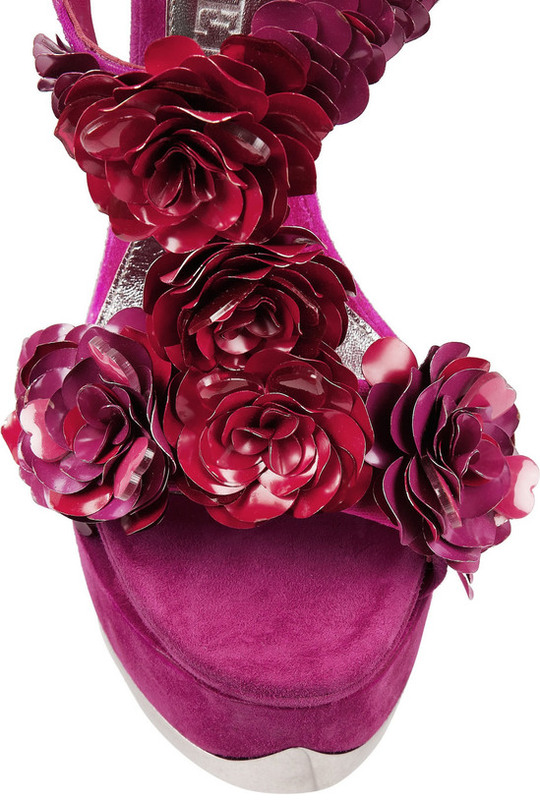 The sculptural sandals are priced at $7,520 and boast of a ‘horseshoe’ sole and are bound to be the envy of all eyes. 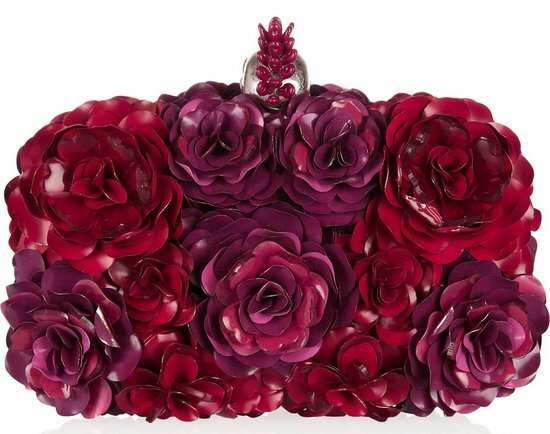 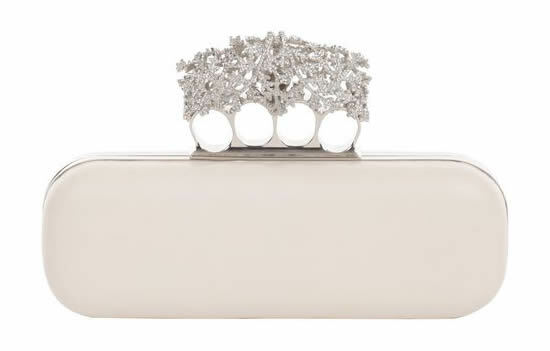 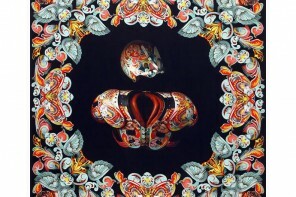 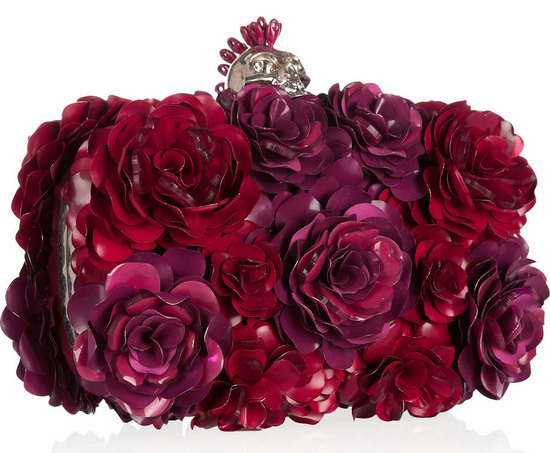 Perfectly complementing this is the $3,425 enameled flower box clutch. 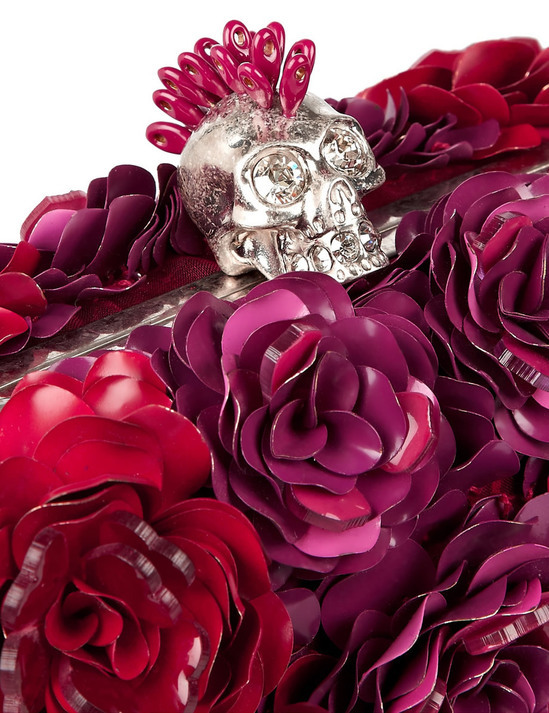 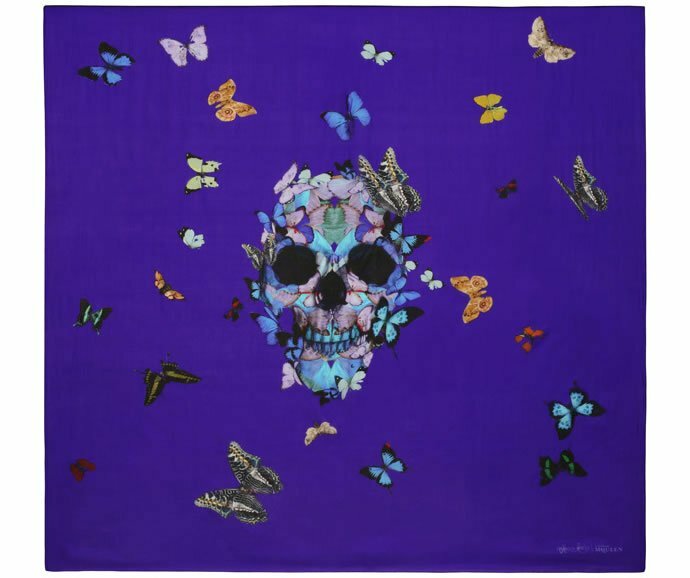 An artistic creation, it comes to live with the burst of a pink, purple and red enameled paillette roses and bead along with the brand’s signature Swarovski crystal and enamel-embellished skull lock fastening.